CD SERVICE - Please allow 1 to 3 week for delivery. 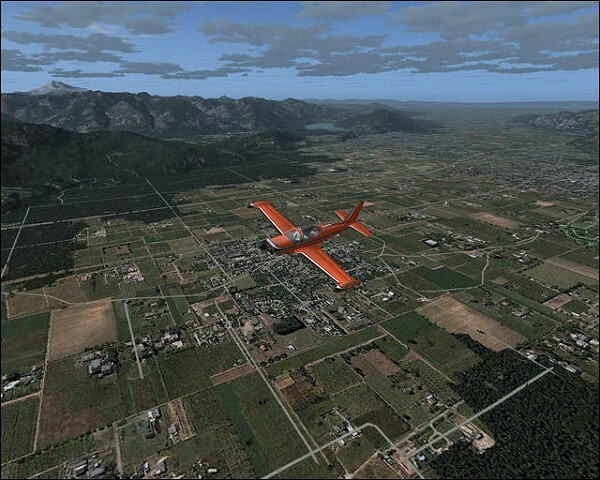 BirdsEyeView: Volume 1 USACanada Summer allows users to experience "AS REAL AS IT GETS" at an even higher level with terrain texture replacement specifically created to bring out the best of Flight Simulator 2004. BEV was designed specifically to be another step forward towards reality. 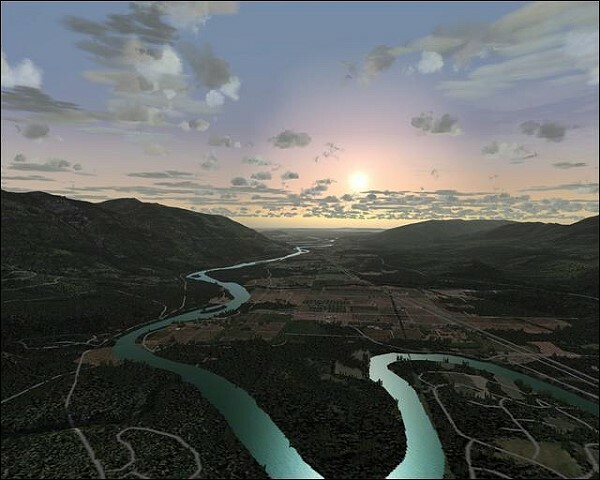 With the recent releases of add-ons that enhance your flight simulating world such as coast lines, rivers & streams, highway & railroad systems, water and sky textures, etc., the next step in the evolution of the FS world environment was to increase the level of "real" in the ground textures themselves. To this end BEV has succeeded remarkably well. 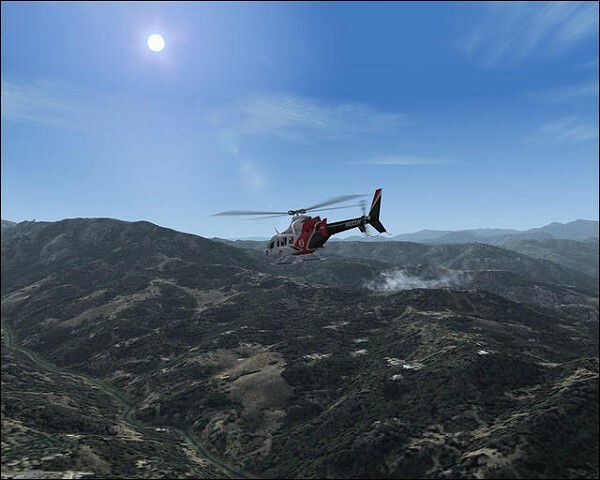 BEV replacement textures are first and foremost an enhancement to what is on the ground you fly over. With a super boost of realism you'll now see FS9 in a whole new way; in fact it's been described as "An Extreme Make Over". BEV keeps the "low and slow" pilots in mind as well, since much of the "leopard spotting" has been eliminated. For the "high and fast" pilots, the same limitations to the default textures apply, but what a sweet place to come home to. BEV doesn't stop with just the textures; BEV also enhanced the autogen (the default 3D objects within FS9). 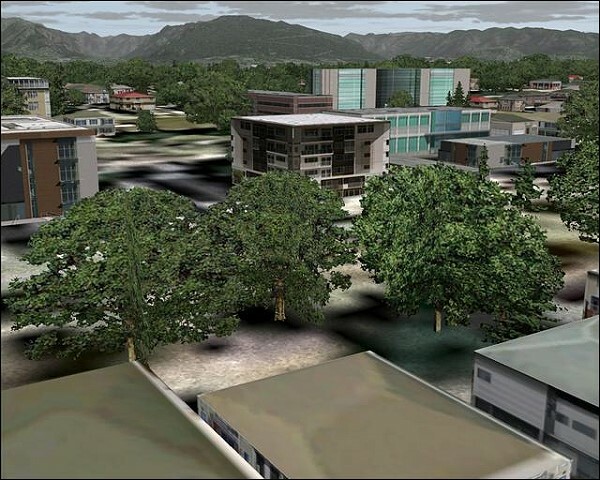 BEV starts by first making sure that the buildings and trees you see are aligned properly with the textures…3D houses sitting on texture houses…3D trees sitting on texture trees and with the MS SDK tools, BEV makes sure that when you slide Autogen Density to Extremely Dense that you are experiencing 100% capacity allowed by FS9. BEV takes it even further by including a custom set of Autogen building textures created by GenreloadedTM and provided freely to BEV as an exclusive addition. When you choose to include this custom set to your flight environment you are in for a real treat and that is putting it mildly. One really cool enhancement provided by GenreloadedTM is the textures for power-line towers…you will now actually see these 3d objects as far out as they are drawn by FS9 - the results are remarkable. In addition BEV also includes new trees, rivers, runways, and many more custom textures. BEV is much, much more than just ground textures! 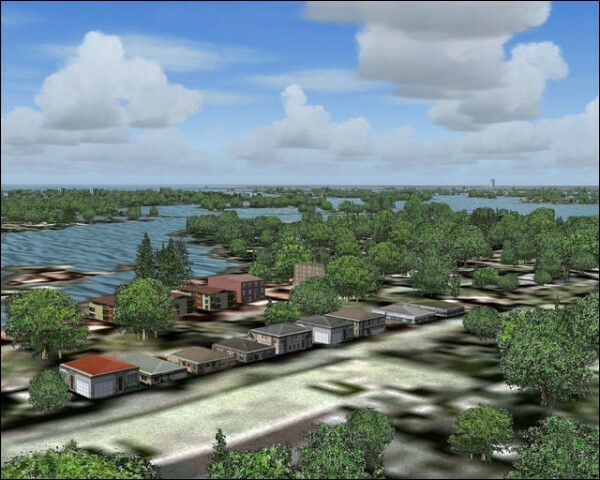 - FS9 Summer texture replacement for USA and Canada. Following the FS9 texture conventions all designated summer textures are represented in this release. - Highly detailed and realistic city, urban, rural, desert, wilderness AND autogen textures creating the absolute best landscapes ever seen in FS9… including photorealistic! 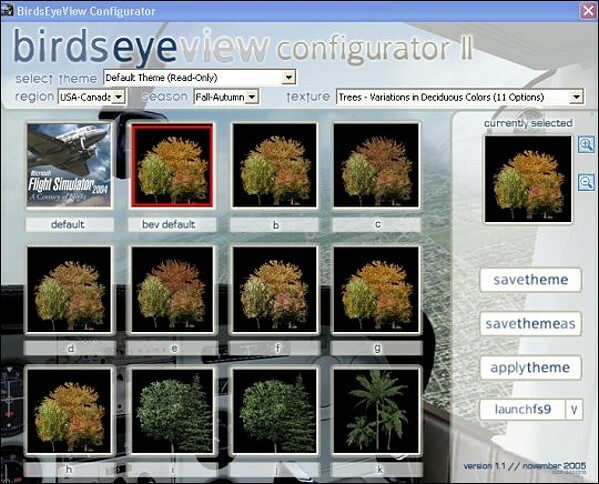 - An easy-to-use BEV CONFIGURATOR II allowing you to choose between multiple alternative textures sets giving you literally thousands of ways to enhance your virtual world! Totally re-written in C++. - Theme generator that provides a quick and easy way to save your favorite texture setups. Now have a setup for the Northwest and one for the Northeast that uses completely different texture sets. 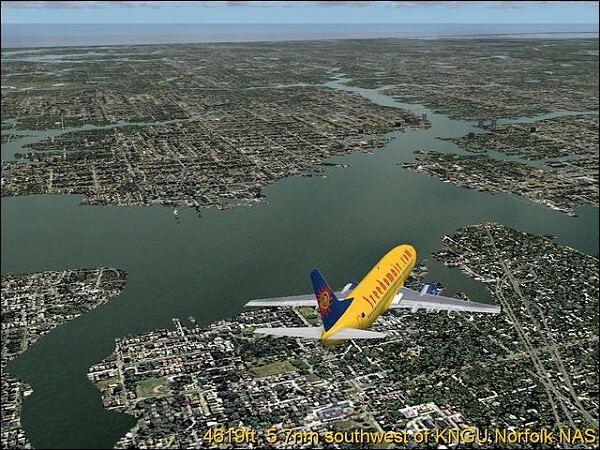 Just load your theme before your flight and you're flying over "familiar" looking territory. - End users can change BEV specific trees, streams, railroad, and water textures easily with the BEV CONFIGURATOR. 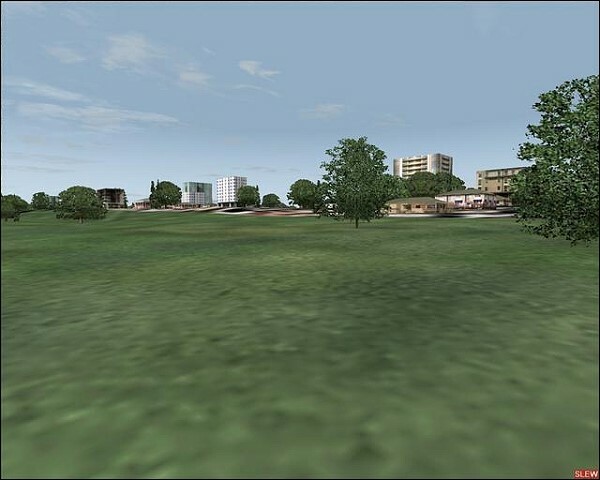 - Exclusive GenreloadedTM adds fantastic NEW Autogen Textures for housing and taller buildings, with new power-line towers and rural textures that enhance your flight experience even further. - Zero impact on frame rates; massive impact on WOW FACTOR! 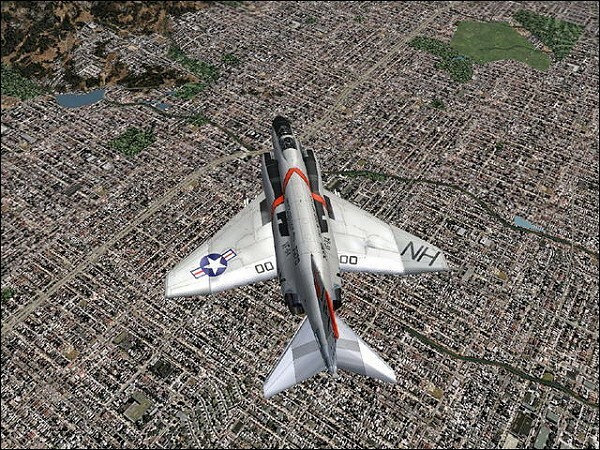 - Works with all known addons for FS9. - Plus FREE BEV Upgrade for FS10 purchasers (if required for programming reason) to all registered BEV owners. If you choose cd version Price includes shipping worldwide (+$12,50). This product was added to our catalog on Saturday 08 April, 2006.